Imagine the following scenario: you have six months remaining on your current lease, you know you need to move your business operations elsewhere, and you have yet to locate a single viable industrial space available to rent. Stress, pressure, and time are all working against you as you seek a legitimate solution. In this type of situation, you are likely to end up leasing space that is far from ideal for your business needs. Unfortunately, procrastination is a common reality for many people. Don’t let it impact your business when seeking out industrial space for rent. Many people do not start the process of looking for industrial space early enough. Consequently, they end up settling for a space that does not meet the necessities of their business. There is a real possibility that they will be forced to pay an inflated or premium price on the space due to inadequate time available for assessing all options. Getting the ideal industrial space for rent is easy if you align yourself with professionals and provide yourself with ample time to make the right decision. If you wait until the very last moment, you might find a shortage of properties with the qualifications you need. You could very well end up settling for a sub-optimal industrial space out of pure necessity. You will not have enough time to properly negotiate the deal. Rushing into a lease is never a good idea. You might have to do some remodeling before moving. This can be a time-consuming endeavor. Consider the time it takes to do the actual remodeling as well as the time it takes to get legal and regulatory permissions. Obtaining these permissions can sometimes take several months. In addition to starting your search for industrial space for rent early, experts also recommend having a real estate agent available to sit down with you every six months or so to help evaluate any real estate needs your company may have. 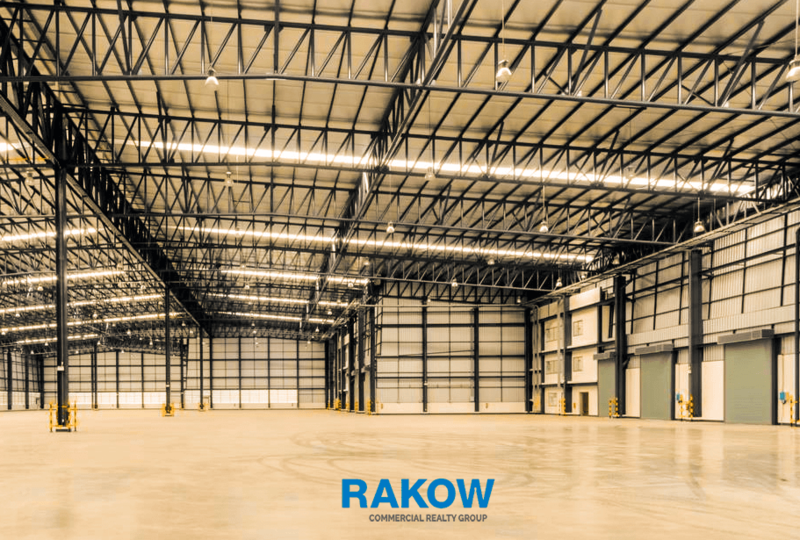 Throughout our more than 30 years of experience, Rakow Group has helped countless business owners at every step of their industrial space for rent endeavors. If you’d like to know more about us or need assistance, please call now at (914) 758-0220.